Stephanie Tourles’s Essential Oils: A Beginner’s Guide demystifies the world of oils and unlocks their benefits. Essential oils are a current trend backed by age-old wisdom and timeless benefits. They are an appealing solution to today’s overmedication, but approaching them can be overwhelming—so many little bottles, so many enticing smells. Where does one begin, and how can they be used effectively and safely? Those are the questions this book answers. The book is true to its beginner focus, starting with the basics, like where oils come from and how to ensure the quality of the product, as not all oils are equal. The bulk of the book details several dozen of the most versatile, readily available oils—a simple start for newbies. Tourles’s top picks include lavender, lemon, two varieties of chamomile, scotch pine, and frankincense. Each section includes the background and history of the oil, what it’s used for, and practical, easy-to-follow recipes to start reaping the benefits—including Super Herbal Antibacterial Drops, Relaxing Daily Body Wash, and Menstrual Cramp Relief Rub. The recipes target a wide variety of common ailments and everyday needs. 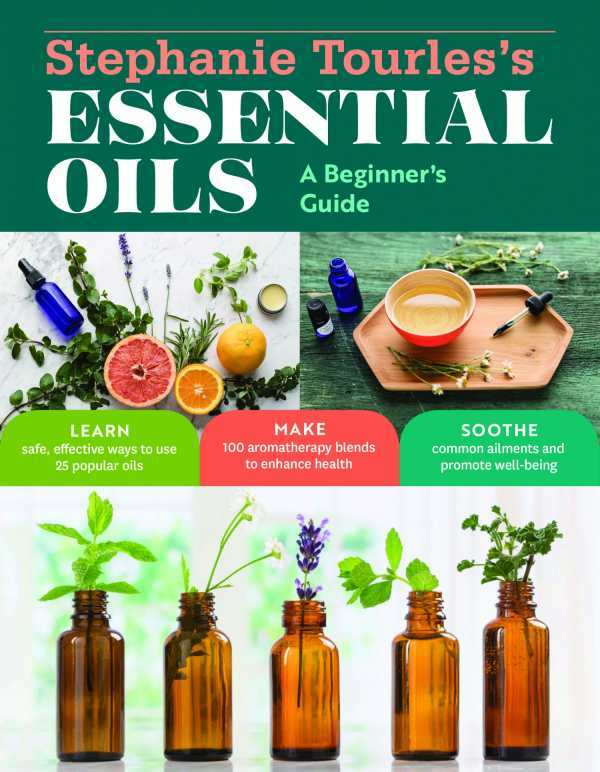 The book closes with recommended reading and resources to help people take their essential oil knowledge to the next level. Tourles is a licensed holistic esthetician. Her experience and expertise are clear through the content of the book and her adeptness at conveying what she knows. The result for readers is confidence, understanding, and healthy results. The book is beautifully designed and laid out, with crisp photographs, elegant type, refreshing colors, and plenty of breathing room on the pages. Coupled with the professional, knowledgeable tone of the writing, the result is a feeling of warmth and wisdom. Stephanie Tourles’s Essential Oils presents the first steps in a path toward holistic health.